April 29th – May 3rd: Wastewater Screening Technology Seminar: register here. 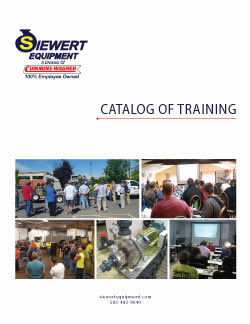 Siewert Equipment offers accredited seminars and training for engineers and operators. With professional licensing credits provided by the Practicing Institute of Engineers (PIE), the NYS Dept. of Environmental Control (DEC), and the NYS Dept. of Health (DOH), we can help you stay on the cutting edge of the industry. View the catalog on the right for our training offerings. View the calendar below for any upcoming events we are hosting. Sign up to receive email notifications on our seminars.